Only room for essentials. And this doesn’t include the two wine fridges, or the reds on the floor that will definitely be prematurely aging in this heat! HAHAHA!! 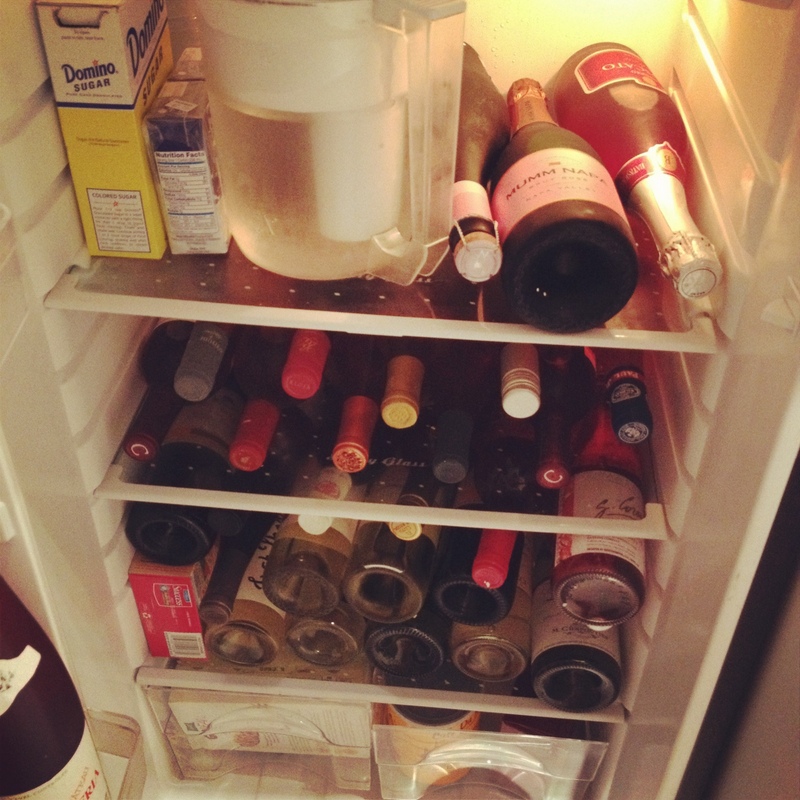 I just picked up a fridge for my little wine collection. Congrats! I have THREE now – problems! Welcome to the club.